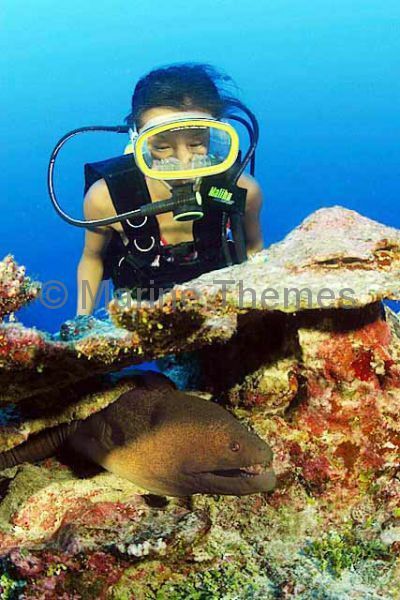 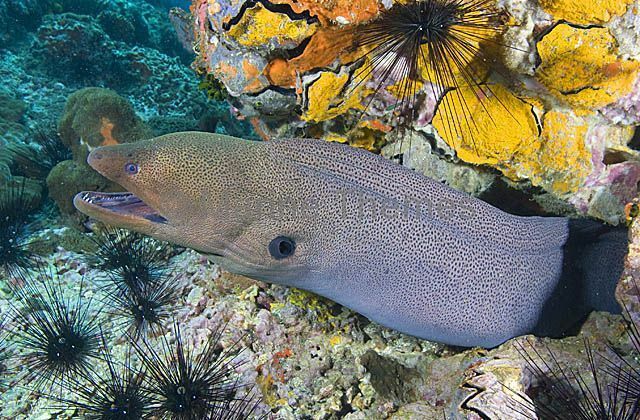 Giant Moray (Gymnothorax javanicus) and diver. 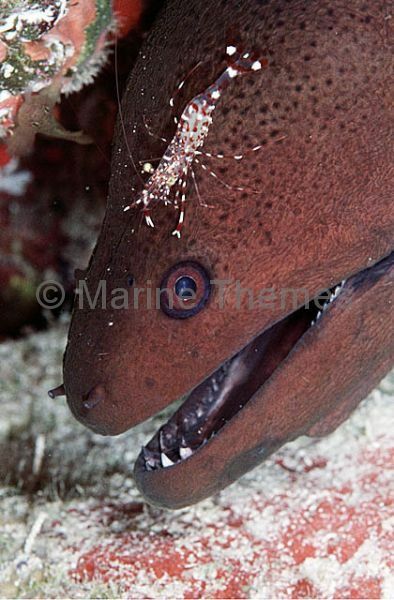 Giant Moray (Gymnothorax javanicus) emerging from hole at night. 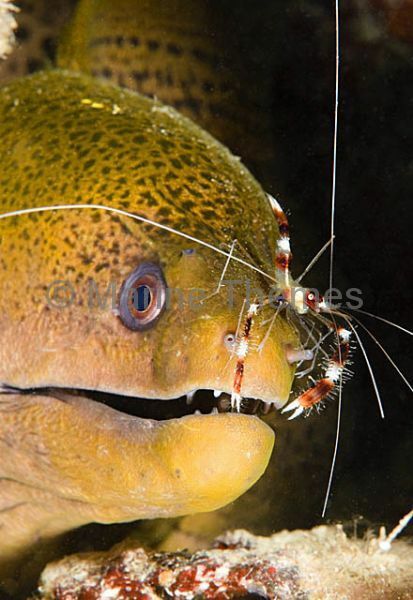 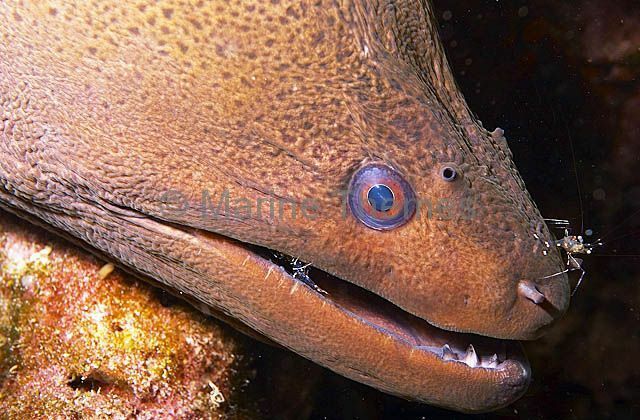 Giant Moray (Gymnothorax javanicus) with Cleaner Shrimp. 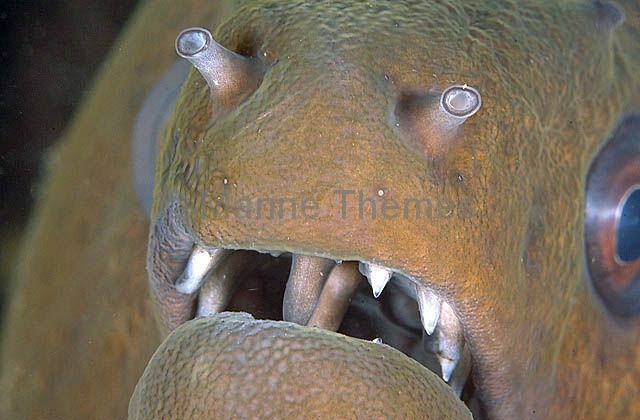 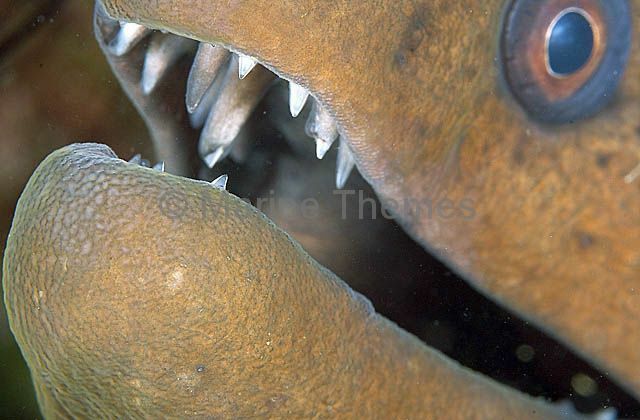 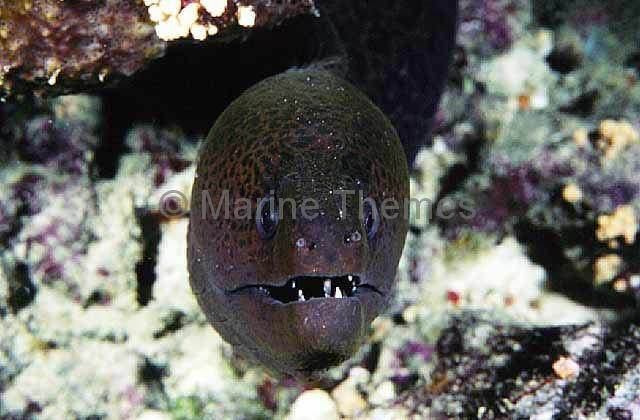 Giant Moray (Gymnothorax javanicus) Detail of holding teeth, mouth and nostrils. 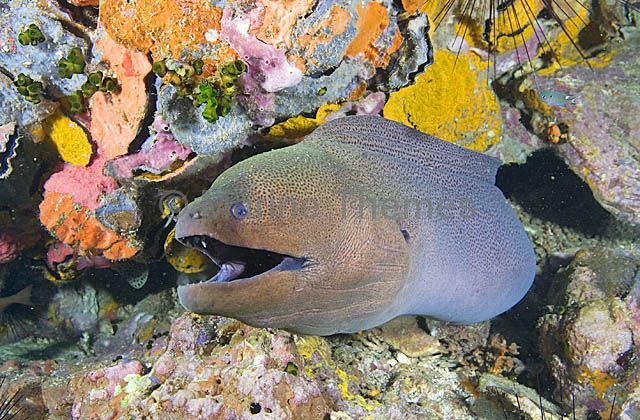 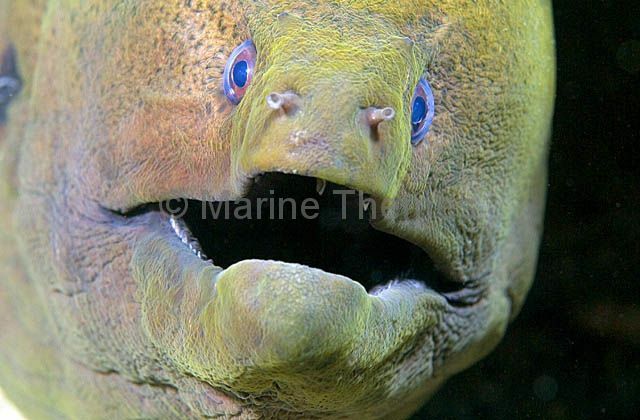 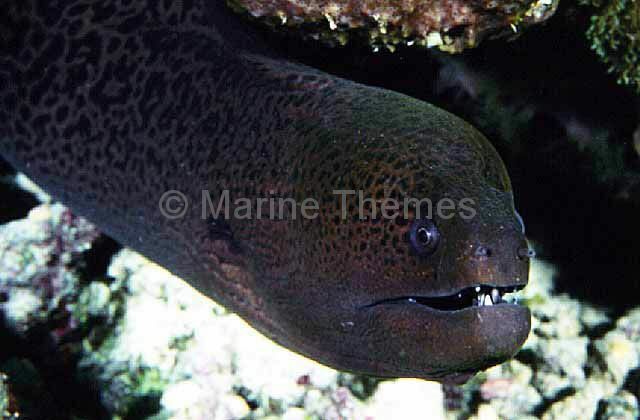 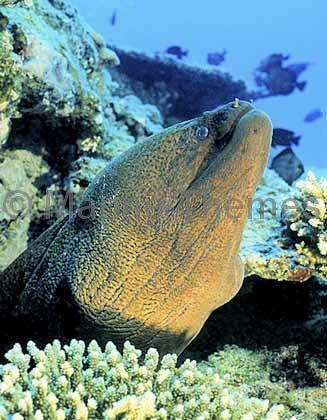 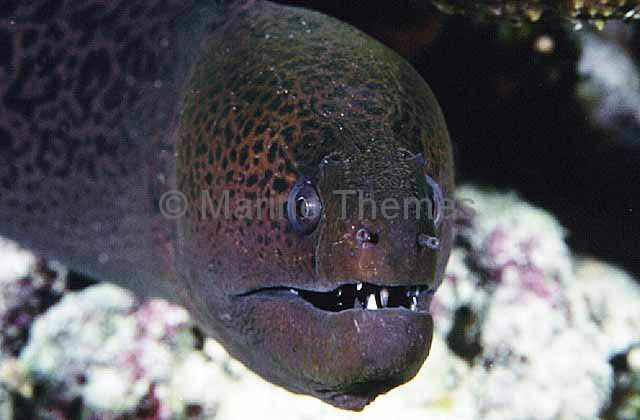 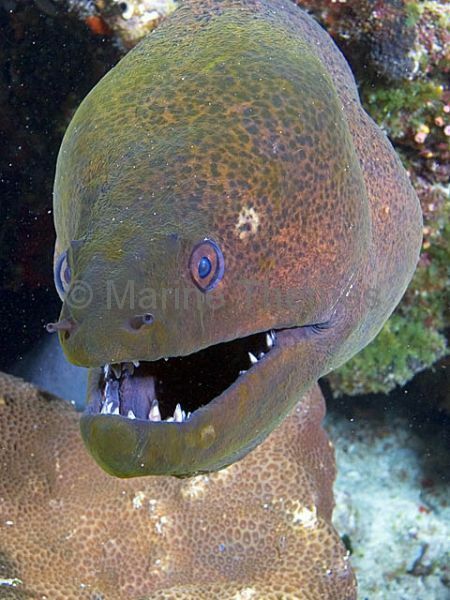 Giant Moray (Gymnothorax javanicus) with mouth open in typical breathing pattern.